Ready to stop rendering and start investing in your future? Metro Square in the heart of Herndon could be perfect for you. 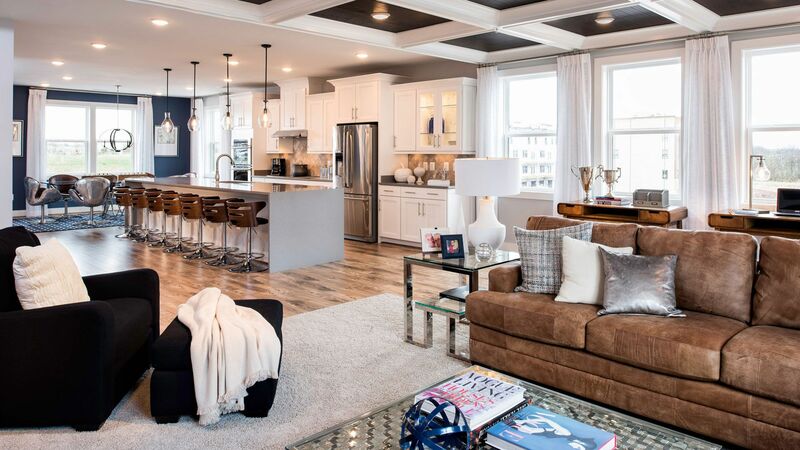 This collection of two level urban-style condos is just steps from the future Herndon Metro Station and Herndon Town Center and minutes to shopping and dining. Located close to W&OD Trail, your new low-maintenance condo offers an onsite pocket park and a bike trail to maintain an active lifestyle. In addition, Haley Smith Park, with multiple sports fields, a basketball court, and picnic areas, is right across the street. Featuring The Preston, a 3 bedrooms upper level condo or the lower level Bradshaw with 2 bedrooms . Both condos feature 2 levels of open living space, private garages, spacious gourmet kitchens, owner's suites with large walk-in closets, bedroom-level stacked laundry, and a deck (lower level) or deck and rooftop terrace (upper level). As a new condo owner at Metro Square in Fairfax County, you'll wonder how you ever thought about living anywhere else.